On a Bhutan Road trip from West to East explore remote areas by car. Continue on to Guwahati, India. If you can sacrifice some comfort this is for you. Arrive Paro. Transfer to hotel. Afternoon sightseeing in Paro valley.Visit Paro Ta Dzong Museum and then descend on foot to the impressive Rinpung Dzong. 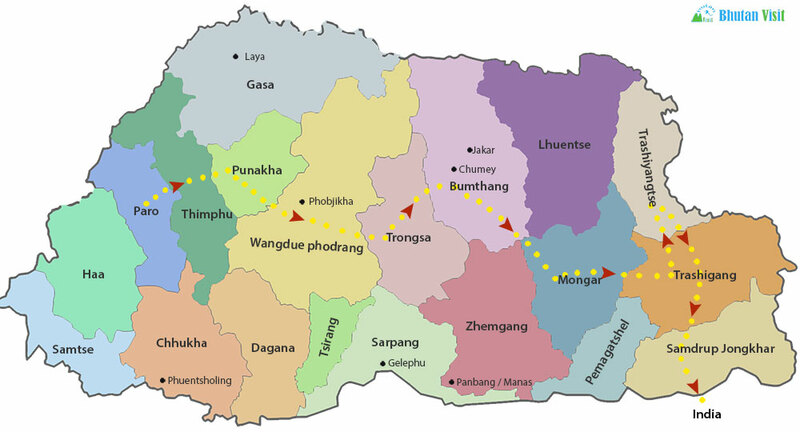 Drive to Trongsa (5½ hrs). Option for short hike from viewpoint to Trongsa Dzong. Visit Dzong & the museum. Drive to Bumthang (2 hrs).Sightseeing in Bumthang.Jambay Lhakhang, Kurjey Lhakhang, Tamshing monastery and if the timing is right see the monks debating in Karchu Dratshang (usually between 4:30 and 6:00pm). Sightseeing in Bumthang valley. Day excursion to Tang valley, Ogyen Choling Palace museum& Lake Mebartsho. Alternative day trip to Ura village. Full day hike options to Tharpaling or Kunzangdrak are also possible. Please let us know your preferences. Sightseeing/walking in Mongar. Optional excursion to Lhuntse to visit the weaving village of Koma and the dzong. Drive to Trashigang (2½ hrs). 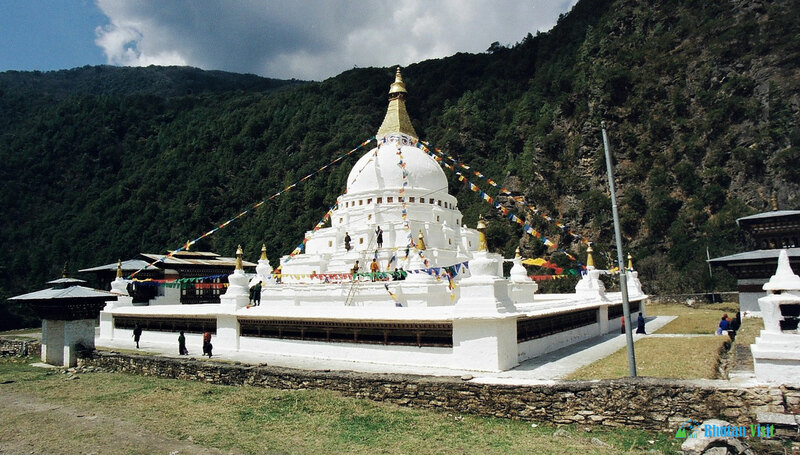 Visit the small town of Trashigang, Ranjung monastery. Excursion to Bumdeling Wildlife Nature Reserve. Drive to Trashigang. Drive to Samdrup Jongkhar. En route visit Kanglung College and Khaling Weaving Centre. Exit to India for onward flight connection.